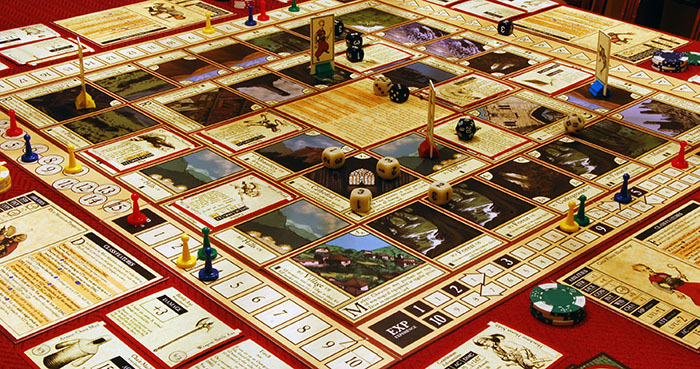 Chronicle is a role playing game condensed and hidden inside a board game. Players take on the role of heroes roaming the world in search of adventure. With the help of your fellow players you create the story of your character and his climb to fame or fall to infamy. Chronicle is currently in the playtesting phase, with a planned Kickstart campaign coming later this year. Please take a few moments and look around the site, read up on the game, and visit the blog to find out the latest news on the game's development.